This is an interview with Lee Hill, an expert in swimming shoulder injury risk factors. Here is his complete works cited, here is his latest research article: Risk factors for shoulder pain and injury in swimmers: A critical systematic review. Lee is a Ph.D (c) at the University of Cape Town. His Thesis covers Genetic Risk Factors for Muskuloskeletal Injuries. 1. You recently published a systematic review on risk factors of swimming shoulder injuries. Can you explain the process of a systematic review? The process of a systematic review is actually quite tedious and follows a strict set of guidelines called the PRIMSA (Preferred Reporting Items for Systematic Reviews and Meta-Analyses) guidelines. It involves an initial database search of search terms specific to what you are investigating in your research question. In terms of our publication, we used the broad search terms “swim* AND shoulder”, “swim* AND pain”. Initially, the search yielded 2731 unique articles. Overall, there are two main rounds of reviewing the available literature identified from the database search, using a three step method in each round. The first round involved the review of articles from the search results of the databases and the second round involved reviewing the bibliography lists of identified articles from the first round. The three step method involved excluding articles (based on our strict exclusion criteria) by title, abstract and then full text based on relevance to our research question. Thereafter, the identified articles were critically appraised according to the inclusion criteria. Thereafter, the studies identified are analyzed and appraised using two very well established methods, namely level of evidence and level of certainty. This allowed a relative estimation of risk for each of the identified risk factors during the review process. Systematic reviews are vitally important to science as they help condense what is already known and directs future research to potential areas that have not been investigated. They serve to basically highlight the gaps in our knowledge. 2. What did your study look at? 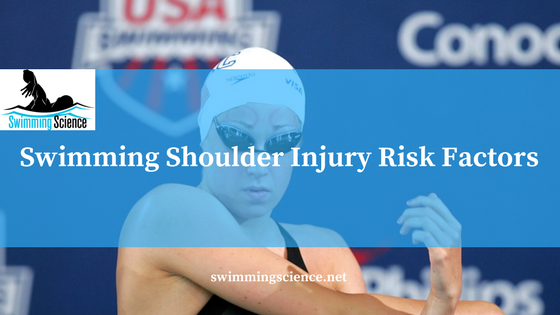 Our study specifically looked at what risk factors can predispose a swimmer to sustaining a swimming shoulder injury. Swimmers train all year round and activity exposure can vary from 3km per week at age group level to more than 110km per week at elite level. 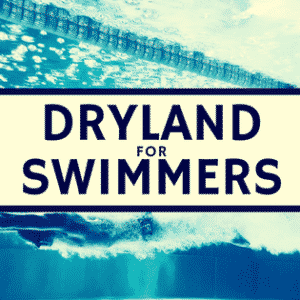 This can place an enormous strain of the shoulder complex and it has been estimated that competitive swimmers can complete more than 1 million arm rotations per arm per year. 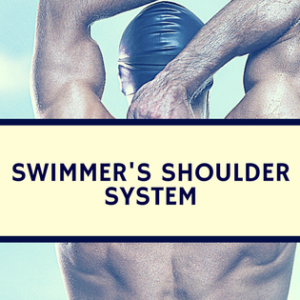 That type of stress on the shoulder can predispose a swimmer to swimmer shoulder injuries. However, even though the incidence and severity of swimmer shoulder injuries are well documented, the exact etiology of the injuries is poorly understood. Our study attempted to document all known risk factors for shoulder pain and injury in swimmers and critically evaluate and appraise their level of evidence and level of certainty. The systematic analyzed what factors can either, increase or decrease the risk of injury and the certainty that the risk factor identified is associated with pain or injury. 3. What were the moderate or high risk factors for swimming shoulder injury? Our study identified 18 potential risk factors for shoulder pain in swimmers. Surprisingly, we found no risk factors that could be conclusively appraised as high risk. This is possibly due to the limited number of studies available, weak study design or small population size. Specifically related to deficits in Internal/External Rotation range of motion. A number of studies found that decreased Internal rotation range of motion coupled with increased External rotation range of motion was associated with shoulder pain. A number of research studies found that having a previous injury or pain can increase the risk of future shoulder pain and injury. Swimmers who compete at higher levels were found to have increased risk of shoulder pain and injury. These factors had a sufficient evidence to determine that there is risk associated with the injury, but confidence in the estimate is constrained by factors such as sample size and quality of studies, as well as the inconsistency of findings across individual studies. Therefore, as more studies become available in the future, it could change the certainty of these risk factors that have been identified. 4. What areas do you think deserve more research? The area that deserves more research should be prehabilitaion. Unlike rehabilitation, in which you strengthen and rehabilitate an injury, prehabilitation is exercises and stretches that are done to prevent injuries before injuries can occur. A long term prospective study investigating prehabilitation over the course of a season would be immensely powerful, as we all know that prevention is better than a cure [if you’re looking for a systematic product for prevention, checkout the Swimmer’s Shoulder System]. 5. How can researchers better study swimming training and biomechanics and their impact on swimming shoulder pain? When it comes to studying shoulder pain, especially in swimmers, researchers need to understand the basics of physics and swimming biomechanics. When designing a study, specifically studies that look at swimmers shoulder, a researcher must have a thorough knowledge of anatomy as well as pathophysiology. This will enable scientists to investigate what is going and then more importantly, why is it going wrong. A number of studies in the past have tried to evaluate swimming biomechanics using Electromyography (EMG) and multi-angle cameras in order to better understand what happens to the shoulder during swimming. These studies demonstrated that muscle activation is altered when a swimmers shoulder is injured, especially those muscles involved in compensatory mechanisms. However, a clear conclusion as to why this happens is not yet fully understood. Future studies should focus on biomechanical changes in stroke in a prospective manner and should document clinical assessments and examinations in a more detailed and structured way. In addition to EMG and multi-angle camera analysis, 3 dimensional computation modelling should be conducted. This will allow for complete picture and furthering of our understanding. 6. What should coaches do with swimming shoulder injuries and risk factors? 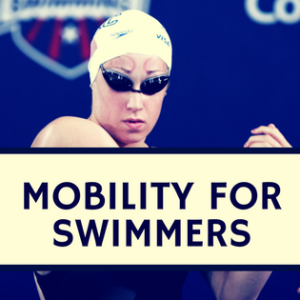 The paper serves to highlight aspects of swimming and the swimmer that can predispose a swimmer to sustain a shoulder injury. The information that we generated will help to inform coaches of what to look out for whilst coaching. Hopefully, it will reduce the incidence of shoulder injuries as you can correct or modify any one of the risk factors if you detect it early enough. 7. What research or projects are you currently working on or should we look from you in the future? Our research unit is heavily involved with the role of genes in injury predisposition and susceptibility. My research area will specifically investigate the role of genes in swimmer’s shoulder and rotator cuff overuse injuries. It will form part of my doctoral thesis and hopefully, over the next few months, we will be publishing some of the data.